Is Over-the-Top Packaging Really the Best Way To Sell Vodka? Companies like Apple have made a push towards minimizing the packaging for their products. But apparently that ethos simply doesn't exist for makers of high-end Vodka, like Belvedere, who packaged its hooch in a box that looks like a photographer's studio flash. There's some method to the madness, though, as the packaging was actually designed to celebrate the Cannes Film Festival where countless celebrities are photographed walking the red carpet. 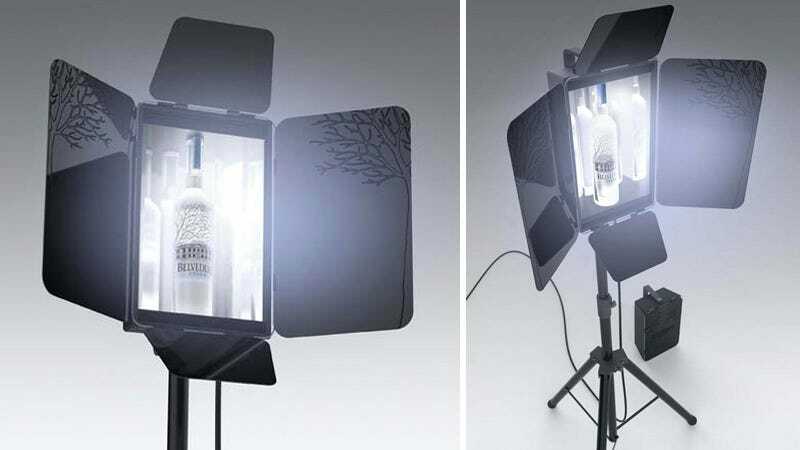 However, whether or not they walked it while sozzled on Belvedere's Vodka is unknown, since apparently a limited run of only 25 of the light-up flash boxes were created.